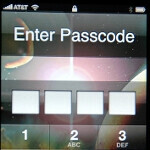 Recently, a flaw was discovered in iOS 6.1 that allowed people to break into a passcode protected Apple iPhone. While the issue was not addressed in iOS 6.1.1 and iOS 6.1.2 updates, the security issue has become way too serious to avoid. 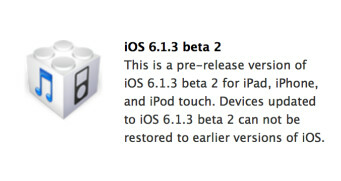 As we previously told you, Apple has passed along to developers iOS 6.1.3 beta 2, which includes a fix for the initial passcode exploit. What we don't know is whether the new OS build includes a fix for another passcode flaw seen on a video produced by Vulnerability Labs. The video shows how the passcode lock can be disabled by dialing and then cancelling an emergency call while playing with the power button. The combination allows someone to gain access to your phone and view your photos and contacts list. The person could even load them on to a PC using a USB cord, while bypassing your passcode protection. Since the second flaw is connected to the first, it is hoped that iOS 6.1.3 will be able to close both openings at once. Apple has acknowledged the flaws but has not mentioned a timeframe for the release of the next update. "The most advanced OS in the world" seems to be the worst term to use with iOS since 2010. Apple, get your s--- together. can we do that in android too? if you tilt the phone just so you can see the lines left in the face grease on the screen and get passed the pattern lock. Thats about all I can think of. 6.1.3 will eventually fix the problem...but you won't be able to lock your iPhone. Hahahaha!!! I can't stop laughing in front of those mindless iTard fans rage!! Why the sudden change to tizen Wendy? Ios 6.1.3 will fix this problem...but will come with other problem and 6.1.7 will fix that problem abs come with another problem.. Allow me to tell you all about the last time an update flawed any of my Android devices...........................................​..................................................​................... Oh you're still here? And while your fixing that flaw apple. Fix the flaw that allows you to swipe back a call on lock screen without putting in your passcode!! Or give us a choice in your next (6. Whatever number update)... To turn that feature off.